Q: Who can try out? A: For the Upcoming 2018 / 2019 CYO Travel Basketball season, CYO of Nassau Suffolk will again be enforcing the residency requirement this year (Please note that there are now eligibility requirements per CYO for NEW players. Existing CYO travel players are grandfathered in) NEW Basketball players must meet one of the following requirements in order to tryout and play travel basketball at St. Pius. 4) Lives in a parish area with no program - this affects a small portion of north Plainview zoned for a Woodbury parish where no program exists. It is the philosophy of CYO that ALL participants play in the parish in which they reside. However, due to extenuating circumstances (no program, closed programs, etc...) this many not always be possible. Waivers are required for any participants that are playing in a parish program other than the one in which they presently reside or for any other condition that does not adhere to these policies (i.e. gender, grade level, interscholastic, etc.). All waivers are strictly evaluated by the Eligibility Committee under the rules interpretation set forth. Waivers granted for other sports (volleyball) do not carry over to basketball. If none of the above applies, you will not be eligible to tryout for St. Pius X Travel Basketball, as CYO will not approve a waiver and your placement on the team. In addition, CYO will not grant a waiver if there is room in a team of your resident parish and/or if cuts are made in a team you for which you are asking to play. Additional zoning questions, tryout requirements or waiver questions can be directed to CYO – either the Compliance Specialist or the Zone 5 Coordinator and they will explain the travel policies. All Parish Boundary Maps can be here – CYO Parish Boundary Maps. A: The travel season starts in October for the Girls and in November for the Boys. Practices start in September for all. When the team is assembled the coaches will work with the St. Pius Coordinators to set up a time slot. The home games and practices will be on that day and time. Practices and games are typically 1 day per week. Your home time slot will be used for home games. Away games can be during the week or weekend at any time. A season is 12 games – 6 home and 6 away. Q: Do we have to try out if we are only interested in intramurals? A: No the tryouts are to form a travel team that will play against other towns across Long Island. This will be a competitive program with standings, referees and the keeping of the score. If you are not interested in travel, signups for the intramural season will be in early June. A: The goal is to make a competitive team. 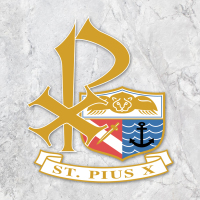 It will be expected that you will make all practices and games and adhere to the St. Pius CYO Philosophy. Q: If we try out and don’t make the team can we still play in the intramural program? A: Yes, the intramural program will run the same as every year. No standings, no playoffs. Q: How many Travel teams will we have for the different age groups? A: This will be determined by the number of kids that show up for tryouts, the level of talent and the availability of coaches and gym time. Currently our program offers boys and girls from 4th grade through High School the ability to play travel basketball. Q: How far are the away games? A: The schedule is not set up but we generally play the neighboring towns. Q: Can I play travel and intramurals?